How long does it take to restore an iPhone? I own an iPhone XS Max and just tried restoring it this morning. But it now seems the restore process is stuck. How can I get it back to normal? Looking for an immediate assistance. Please help! Hey user, we appreciate your decision for seeking help of an expert. Well, fret not. We're glad to offer you detailed information on how long does it take to restore an iPhone, that you're looking for. Moreover, in this article, we're also going to equip you some classified information on 'what can you do when iPhone restore is stuck' and get your device back to normal. Let's explore. 1. How Long Does It Take to Restore an iPhone? 2. 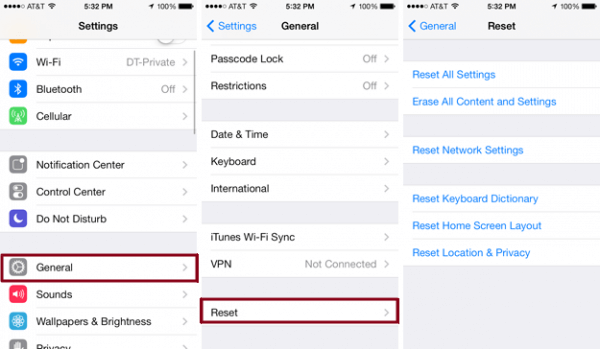 How Long Does It Take to Factory Reset an iPhone? 3. What Can You Do When iPhone Restore Is Stuck? When it comes to restoring an iPhone using iTunes, it generally takes no more than 15 – 30 minutes. But that can also not be considered as a rule of thumb because the time taken to restore an iPhone also depends on the amount of data you have on your device. The larger the data size, more the time consumed. 2. How Long Does It Take to Factory Reset a iPhone? 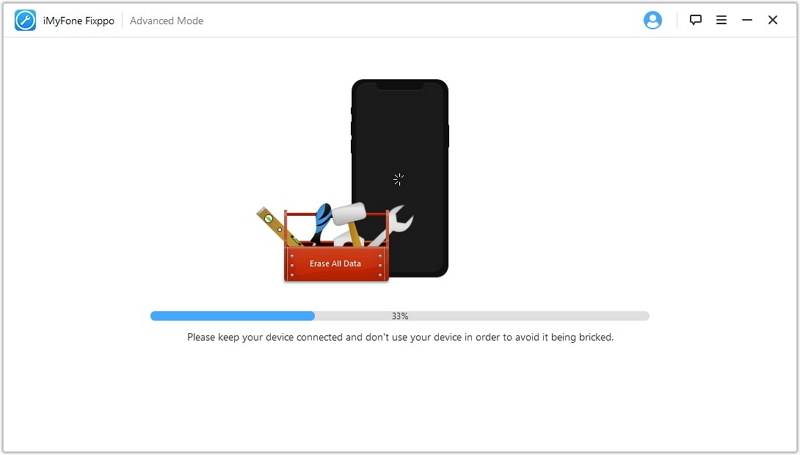 In case, you've opted to factory reset your device from iPhone settings itself, the process should get done with a few minutes, provided that you're operating on recent iPhone models and latest iOS firmware. That also implies, older iPhone models may take quite longer to get done with factory reset process. It is not a rare problem that iPhone gets stuck during the restore process. This is usually caused by the software problem and it can be fixed with some tips. There are 4 solutions that we have tried and proved to be helpful. We will explain these methods one by one in detail. When your iPhone restore is stuck and you have no clue about how long does it take to restore an iPhone, the most viable option in such a case is to seek help of a powerful tool like iMyFone Fixppo (formerly iOS System Recovery) to serve the purpose. 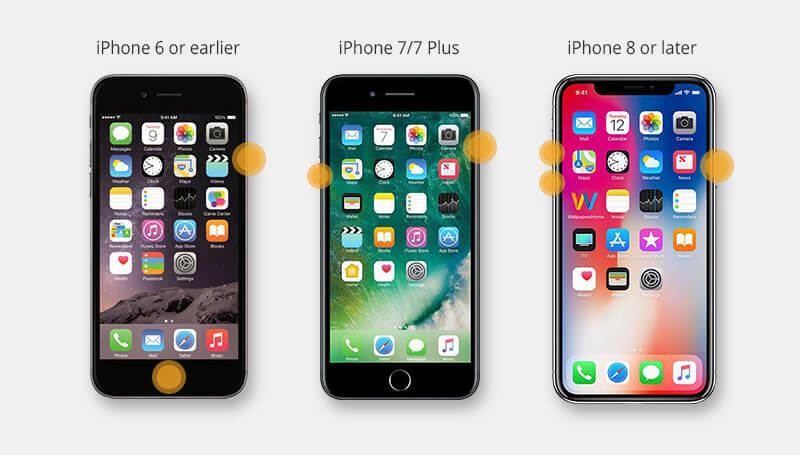 With the iMyFone Fixppo, you can assuredly and easily get your iPhone device back to factory settings and that too, in just a couple of clicks. Moreover, as the name iMyFone Fixppo suggests, this powerful tool fixes all your iOS related issues at the same time while restoring your device. What's more? Well, it offers highest success rate in serving the purpose. Let's now understand how to make use of this amazing tool to restore iPhone. Step 1 – Launch iMyFone Fixppo over your PC after downloading and installing it. 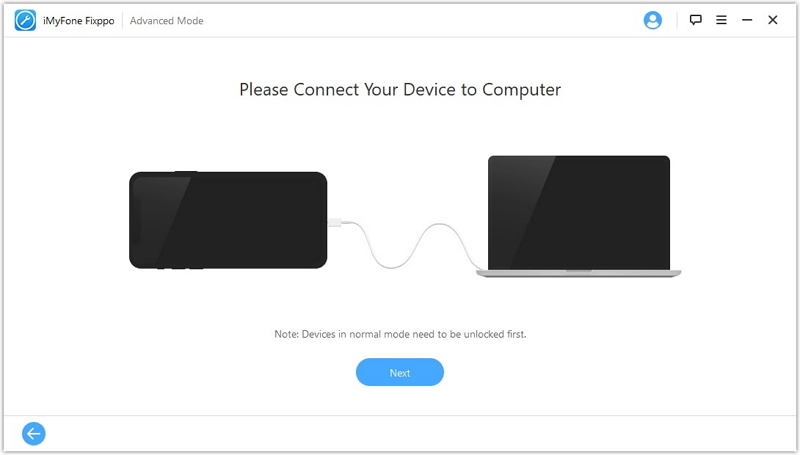 Opt for the 'Advanced Mode' from the main interface and get your iPhone in connection with PC using an authentic lightning cable. Step 2 – Hit 'Next' afterwards. In case your device isn't automatically detected, you'll be asked to put it into DFU/Recovery mode using the on screen instruction. 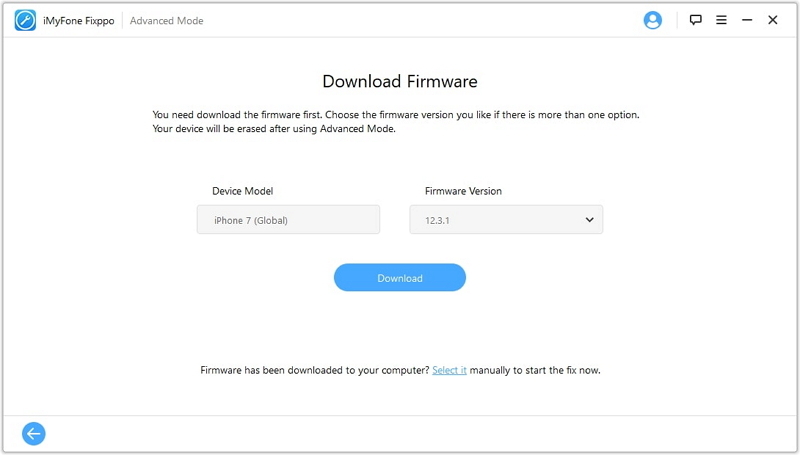 Step 3 – Once your device is recognized, proceed with downloading the suitable iOS firmware (you will be offered with all the available firmware) for your device by clicking the 'Download' button. Step 4 – Lastly, you just need to hit the 'Start' button in order to initiate restoring iPhone to factory settings. The process will finish soon along with fixing all prevalent iOS issues simultaneously. 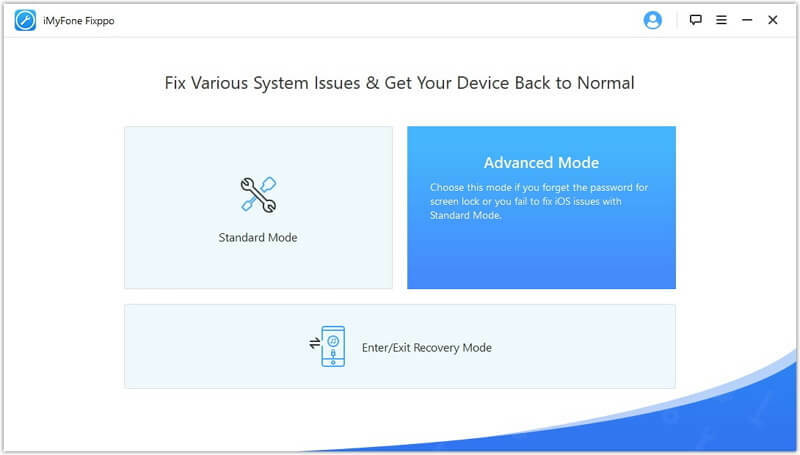 If your iPhone gets stuck on certain screen when restoring iPhone from a backup, and you don't want to lose anydata, you can try the Standard Mode which will not affect the data on your device while fixing the problems. Updating iTunes is the next solution up on the list of what to do when iPhone restore is stuck. Yes, updating it to the latest version can actually resolve the issue sometimes. 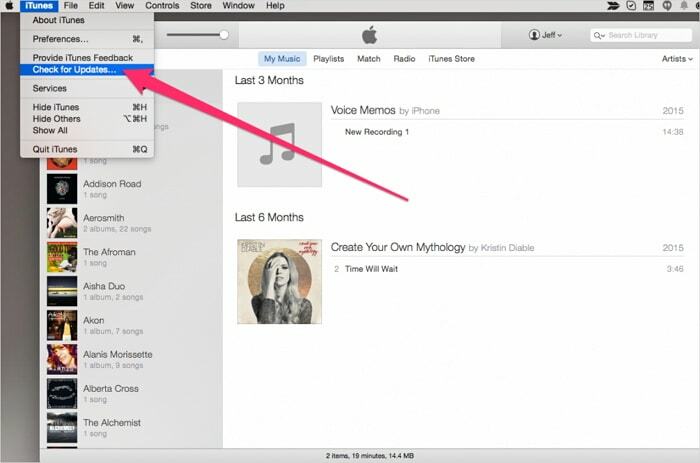 Here's how to get your iTunes version updated on both Mac & Windows. Mac: Boot up iTunes > hit 'iTunes' menu on top left > opt for 'Check for Updates' option. 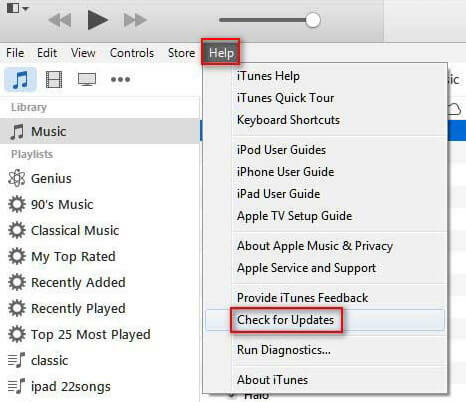 Windows: Boot up iTunes > hit the Help menu option > here, opt for 'Check for Updates'. At times, the problem could also be prevailing deep down inside your PC or perhaps, the USB cable that you may have been utilizing for establishing connection is a faulty or an ingenuine one. 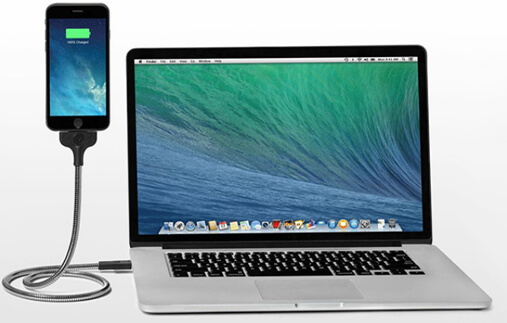 Therefore, ensure to make use of only an authentic lightning cable certified by Apple for establishing connection between your PC and iOS device. In case, you're still facing issues, try opting for a different computer and then check if you're able to carry out the task in question. A yet another way that you can opt when your iPhone restore is stuck, is Force Reboot iPhone. Yes, you can try this method to halt the process immediately. For that, you need to follow a certain set of instructions depending upon your iPhone model. Here's the step by step tutorial to force reboot various iPhone models. You need to keep the 'Home' key along with 'Power' key down altogether till the time you witness Apple logo appearing on your screen. This involves just a slight variation in keys. For this, you need to keep down the 'Volume Down' key along with 'Power' key altogether until Apple logo flashes on your screen. For these devices, you need to be actively following the instructions. First, hit 'Volume Up' key followed by hitting the 'Volume down' and then finally keeping down the 'Power' key afterwards until the Apple logo is witnessed.